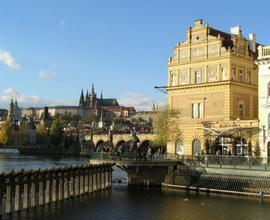 The Bedřich Smetana Museum is situated in close proximity to the Charles Bridge, on a site with an extraordinary view across the Vltava River to the panorama of the Prague Castle. It is housed in the building of the former Old Town Water Works–one of the most beautiful Neo-Renaissance structures in Prague, built in 1883-84 according to plans by Antonín Wiehl. The architectural conception of the structure is enhanced by rich sgraffito decoration designed by Mikoláš Aleš and František Ženíšek (important Czech painters of the 19th century) related to the battles of citizens of Prague with the Swedes on the Charles Bridge in 1648. 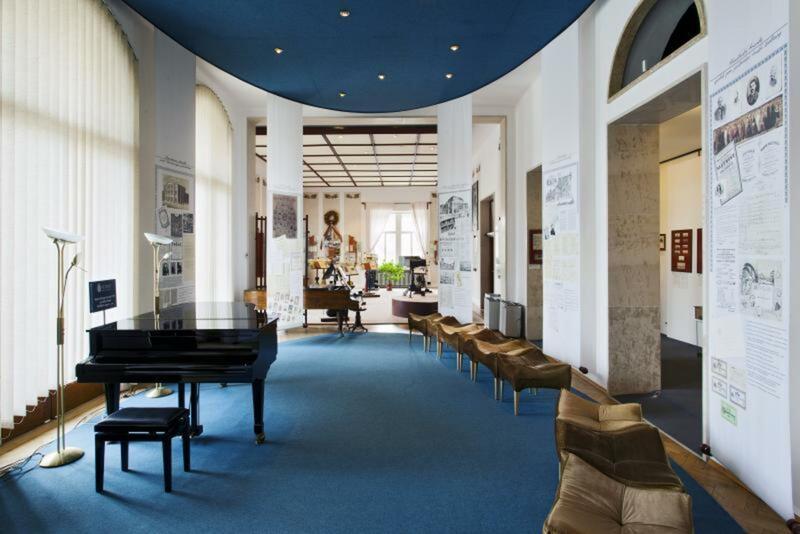 In 1935 the City of Prague loaned the building to the Bedřich Smetana Society for the needs of the Smetana Museum, which had been established in 1926. After necessary modifications, the building was made accessible to the public on 12 May 1936 with the festive opening of the first long-term exhibition. In 1964, after extensive renovation and remodelling of the structure, the long-term exhibition took on a new form that remained until the early 1990s. 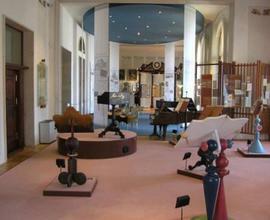 The present long-term exhibition opened in 1998. Here the visitor can view autographs of Smetana’s greatest masterpieces along with other written documents, personal effects, and pictorial materials from his estate, presented in an original and untraditional artistic-architectural treatment that offers an opportunity to listen to Smetana’s music according to one’s own selection. Smaller short-term exhibitions of items from the Smetana Museum’s collections are presented at regular intervals within the space of the exposition, enlivening it and offering additional topics pertaining to Smetana that lie outside its basic framework. Important dates from the museum’s history: 1893 Director of the National Theatre F.A. Šubert proposes establishing a Smetana Museum. The family is willing to donate memorabilia, but no suitable premises are found for depositing and exhibiting them. 1926 Foundation of the Smetana Museum in Prague, at first housed provisionally in the premises of Charles University’s Institute for Musicology. 1935 The Old Town Water Works building is acquired for the Smetana Museum. 1936 Opening of the Smetana Museum’s first permanent exposition. 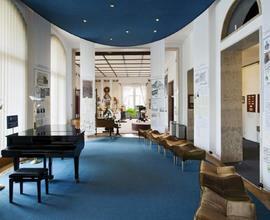 1952 Following dissolution of the Bedřich Smetana Society, the Smetana Museum becomes an independent state institution. 1958–1975 The museum is administered by the National Literature Memorial. 1964 Opening of the second exposition. 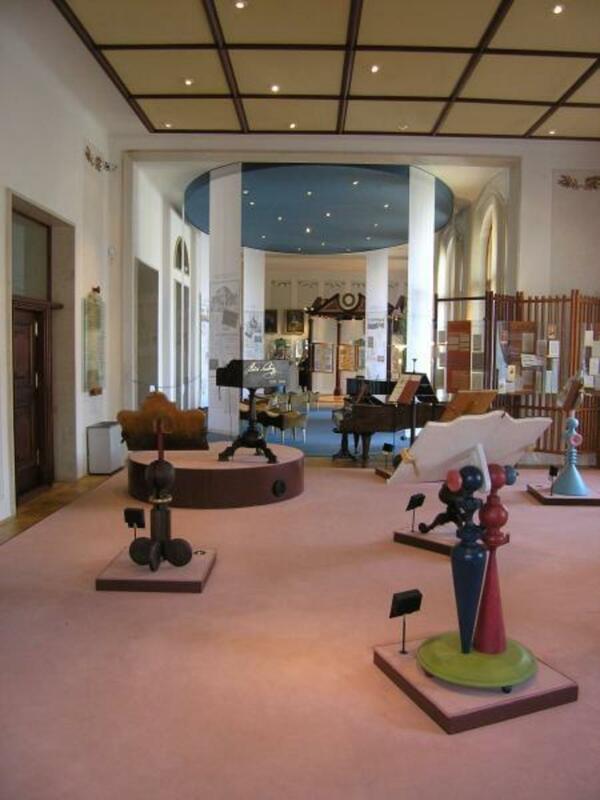 1976 The Smetana Museum becomes part of the newly-established Museum of Czech Music (today’s Czech Museum of Music). 1998 Opening of the present exposition.